If you don’t own silver, we recommend you get started right away. In our opinion, people will look back at silver under $20 an ounce and wish they backed up the truck and loaded it with silver. Many of our first time clients get started with the blue-chip silver bullion coin in the Silver American Eagle from the U.S. Mint. They come in mint-sealed cases of 500 coins (often called Monster Boxes.) Or you can order in Original Mint Rolls of 20 at a very affordable price point. Silver Eagles, like most world silver coins, are investments you can hold in your hand, take one look at, and immediately realize their true value. Once you see physical silver up close, you may be like many of our clients and immediately put your faith and trust in something that is so beautiful and solid. Our hardest problem is getting clients to sell them back and take their profits– even after silver prices multiplied nine-fold from 1999-2012. 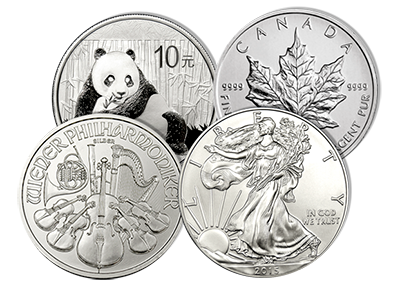 There are many other types of silver coins you can buy– Canadian Maple Leafs, Chinese Silver Pandas, or the Austrian Silver Philharmonics. All of these have been time-tested silver investments that are incredibly popular and known throughout the world. This makes them easy to sell at any time in the future whenever you're ready. 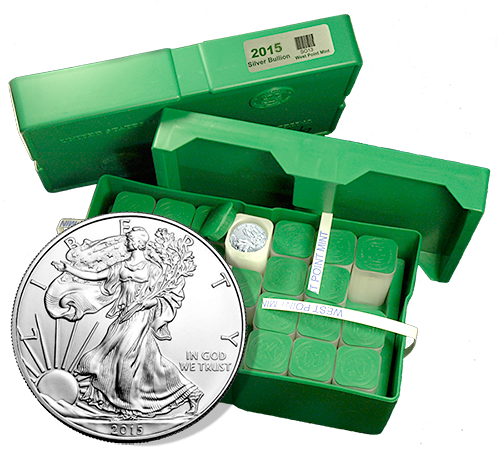 Each of these silver coins comes in the standard one troy ounce sizes. Many of our clients are enamored with silver coinage from the Perth Mint in Australia. For decades, the Perth Mint has been known to produce some of the highest quality material in the world. They issue coins ranging from ½ ounce sizes all the way up to kilogram (32.15 ounce) sized coins. On top of coins struck at mints around the world, you can also choose to acquire silver bars ranging from 1 ounce up to 100 ounce sizes. We don't recommend silver bars to anyone looking for private, non-reportable silver. On top of the normal silver coinage produced each year, sometimes mints will produce special issues. These rare modern issues give silver investors a "Double-Profit Opportunity" in that you can benefit from both rising silver prices and increases in value due to their unique coin collector appeal. Years from now collectors will be scrambling to find current issues and they won't be easy to find– until prices rise enough to entice early buyers (like you) to sell. 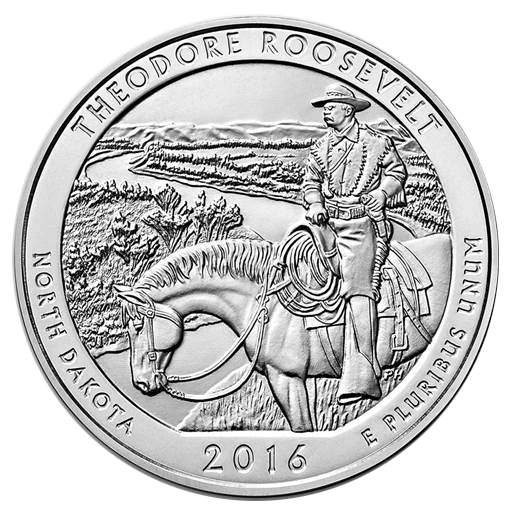 An issue we recommend with very special collector value is the five ounce Silver America the Beautiful Program Coins by the U.S. Mint. These large silver coins are gigantic weighing in officially at five troy ounces. To date, they've been produced in extremely limited quantities, as low as 10,000 coins issued. Compared to the modern silver one ounce issues minted by the tens of millions every year, the America the Beautiful series have been a collector's dream come true. Becase of their rarity, high collector appeal, and fine craftsmanship, certain issues from the America the Beautiful series have considerably appreciated in value over their intrinsic monetary worth during the past few years.